NATIONS’ LONGEST WINNING STREAK CONTINUES! 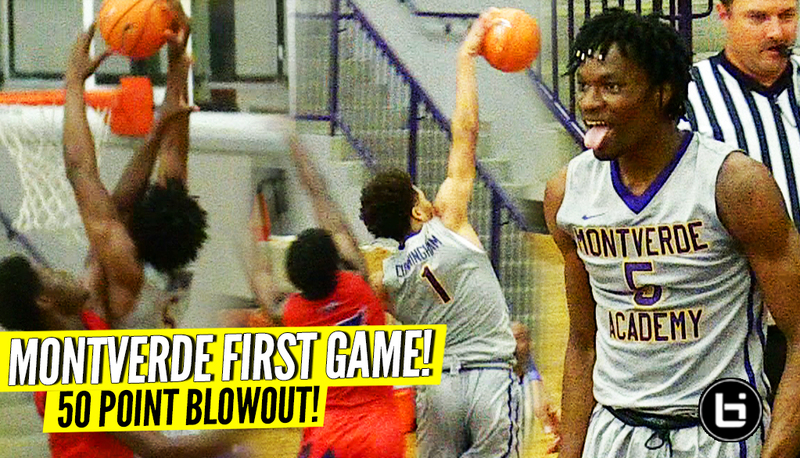 MONTVERDE w/ 50 POINT BLOWOUT in Home Opener!!! Check out highlights from tonight’s home opener for the Eagles of Montverde Academy as they took on NFEI. The Eagles are looking to repeat their 35-0 record and GEICO Nat’ Championship as they’re led by seniors Balsa Korprovica, Precious Achiuwa, and Omar Payne. Texas product Cade Cunningham also adds another scoring option from the wing.